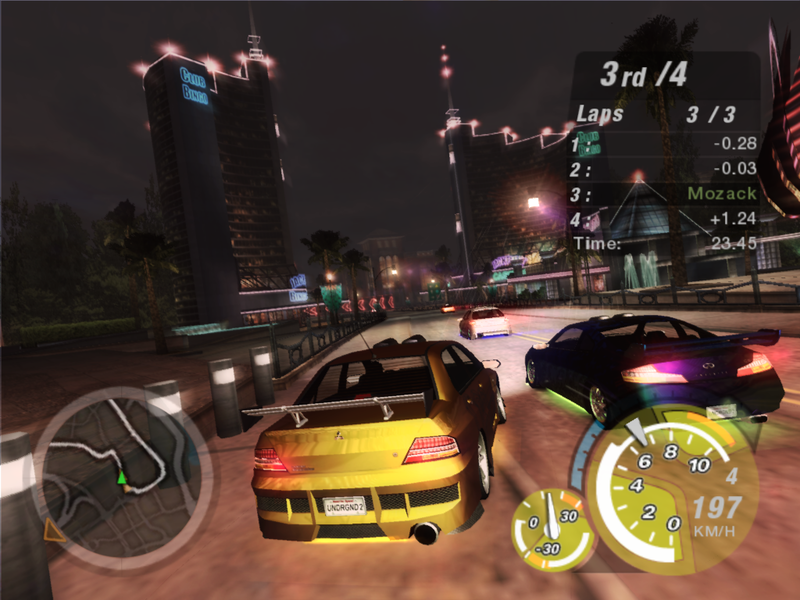 Knockout Mode is similar to previous Need for Speed titles, involves "knocking out" the last racer who passes the starting line in each lap until the final leader of the race remains, and wins the race. In the case of Underground, Knockout sessions have a maximum of three laps for four racers. Drifting is the most challenging and technical aspect of the game. Drifting is when during a race you intentionally slide around a corner at high speeds. Drift mode consists of one player in a short loop track, where the objective is to collect as many points as possible by drifting along the track. 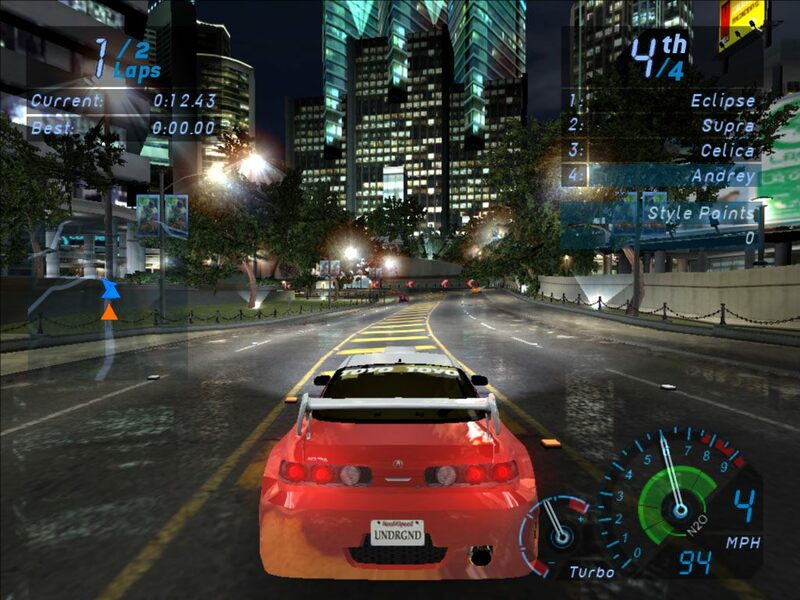 The player competes with three other contestants, who appear to accumulate scores along with the player during the drift session. The player would be required to beat these scores in order to obtain top positions. Bonuses are awarded for players who drift in the outer borders of the track, drift vertically, or perform chained-drifting (continuous drifting by constantly steering the vehicle during drifts to maintain speed); if the player succeeds in ending a drift without collisions onto the sides of the track, the collected points are added into the score, otherwise, the collected points are cancelled.